Jess & Cole invited us over to drop pumpkins in their circle. 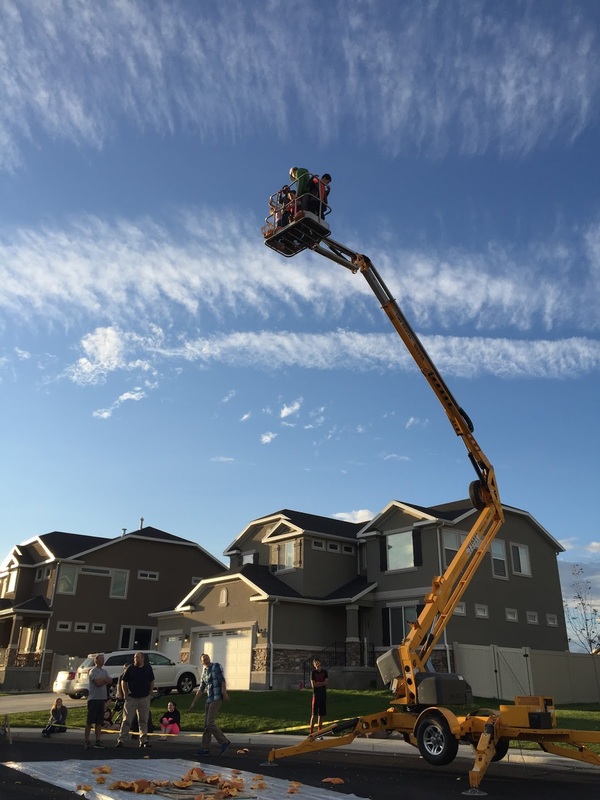 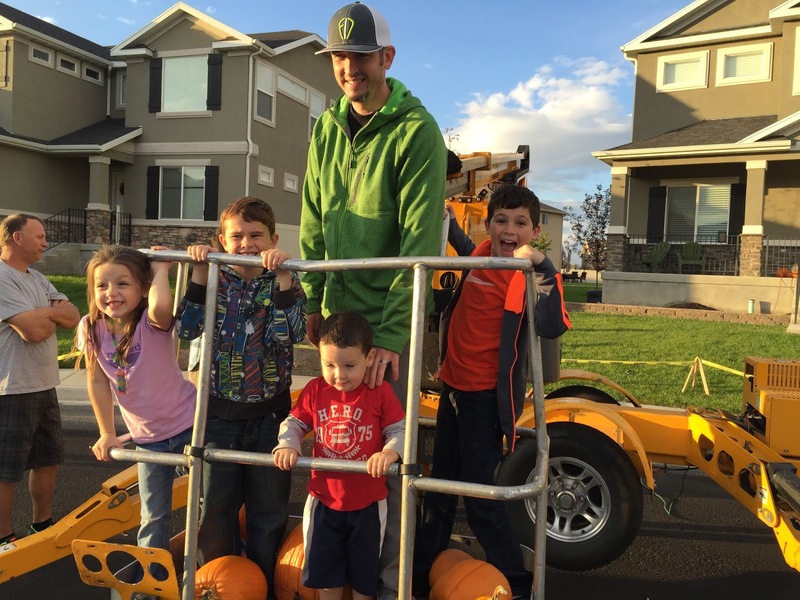 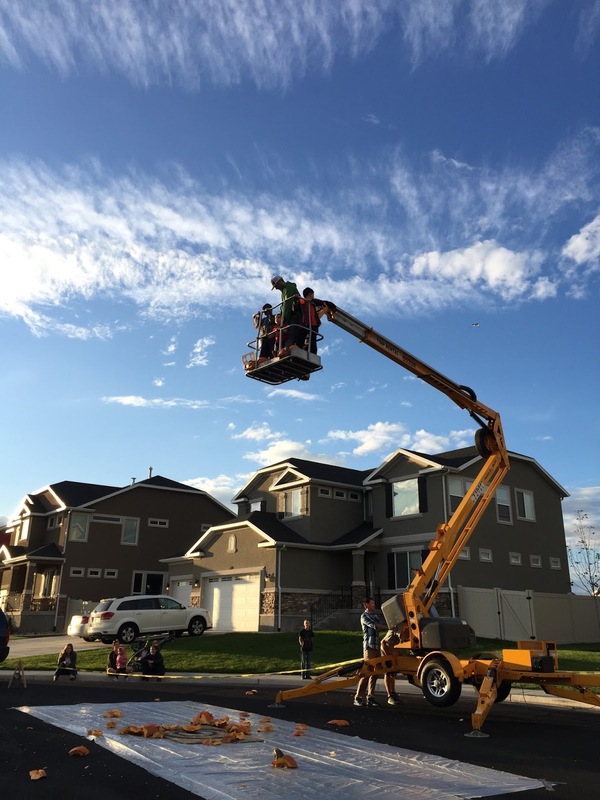 Their neighbor rented a lift and hoisted them up in the air to drop their pumpkins! 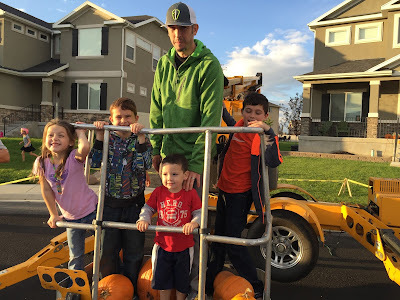 It was a crazy, fun idea and the kids all had a blast. Jess and I were glad when they came back to the ground! 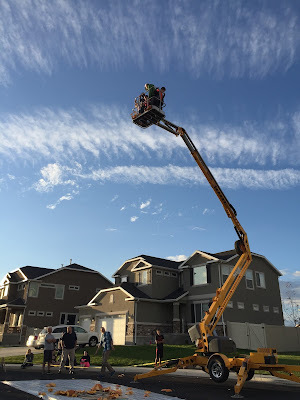 And, no, I did not take a turn!